If you want to sell phone cases online, this guide is for you. 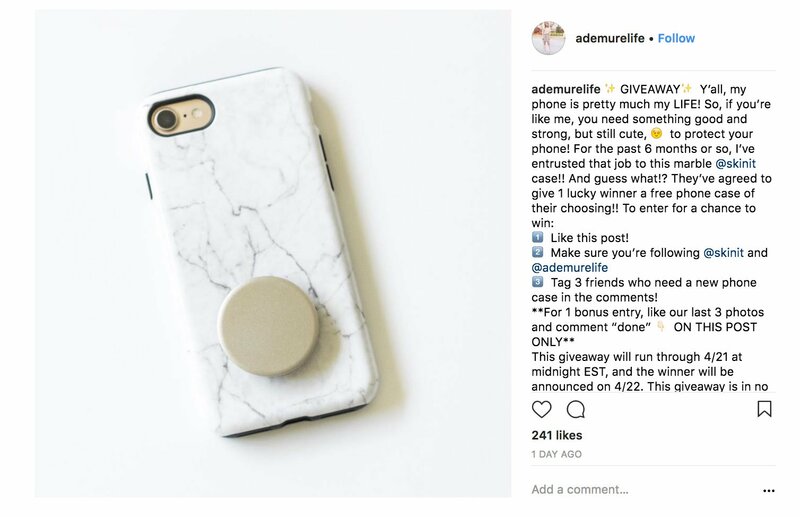 In this article you’ll learn how to start your own phone case business from scratch in just a couple of hours. These days, the phone case market is enormous. It’s estimated that there will be almost 2.53 billion smartphone users in 2018. That is, over a third of the world’s population will own a smartphone by the end of this year. Not only is the number of smartphone users growing, stats also show that people upgrade their phones regularly. Users buy new smartphones every 20-22 months, and with a new phone – there comes a new phone case. Have a decent profit margin – you can dropship high quality phone cases for around $11, then sell them easily with a 50% profit. You can launch your own custom phone case business with almost no investment. 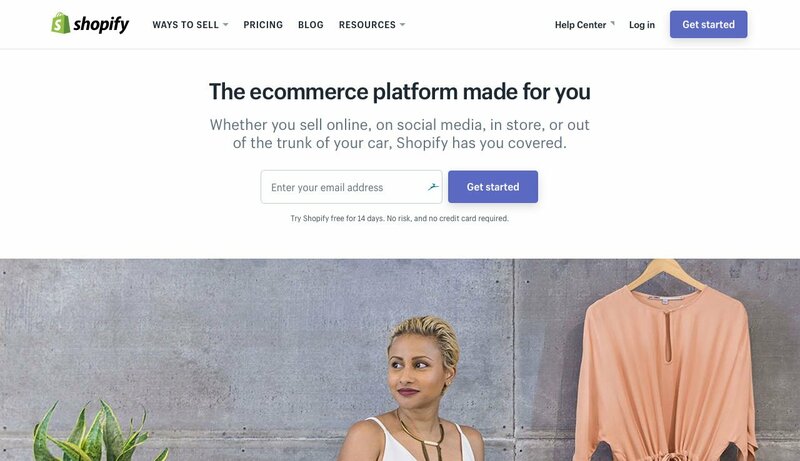 In this guide, we’ll show you how to do that step by step, using Shopify as your ecommerce platform, and Printful as your dropshipper. Let’s go through each of these to-do’s! The truth is, you’ll be far from being the only merchant selling phone cases online. So, before you get to designing and setting up your store, you should have a clear answer to the question: WHO is going to buy your phone cases? Finding your niche is more than defining your audience’s gender, age and location. A niche is something people stand for and are proudly a part of. Meanwhile, from the business perspective, a niche is a specific segment of the market for which your product is created. Why is finding a niche important? A specific niche means fewer and smaller direct competitors: If you target “everyone,” then your competitors are also everyone, including the big players like Amazon, Ebay, etc. 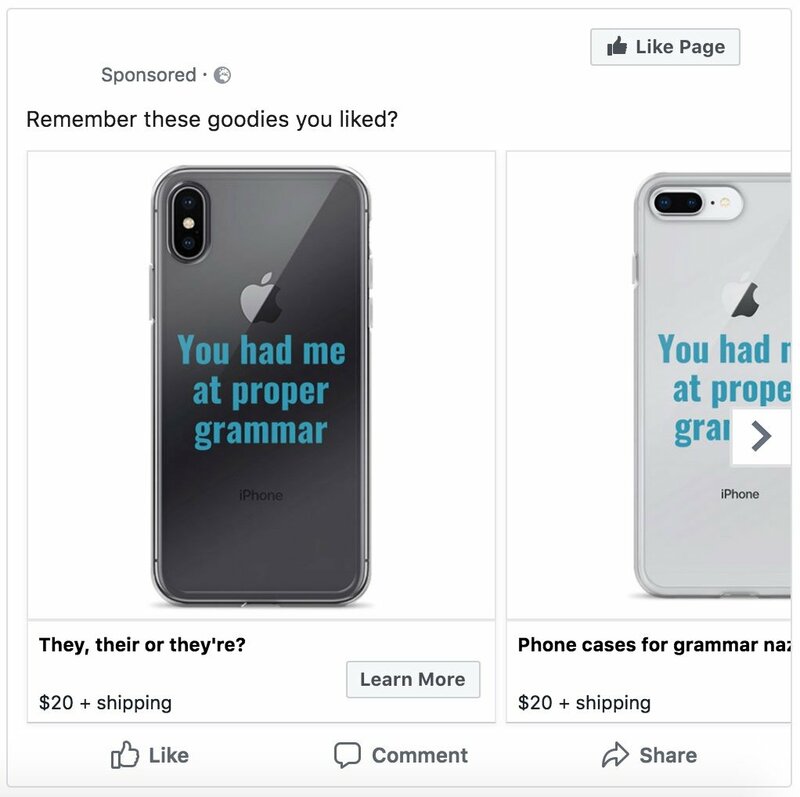 If the niche for your phone case business is “English teachers,” then your direct competitors are online shops that sell phone cases designed specifically for English teachers. Focusing on one niche makes it easier to define your customers, and then design products specifically for them: Imagine designing a phone case for a ”25-year-old woman,” versus designing a product for a “25-year-old woman who owns a pet rat.” Get the difference? Products that are designed for everyone often lack personality, while niche products are usually much more unique and therefore stand out. Targeting a niche may help you rank better on Google: Ranking for the search term “phone cases” is close to impossible, while ranking for something more specific, like “kangaroo phone cases,” is more doable because the competition is much lower. Besides, when someone Googles “kangaroo phone cases” he or she already knows what they’re looking for, and thus are a step closer to making a purchase. The best way to find a niche to target for your phone case business is to take it personally and try to choose a niche you belong to. Think of your own interests and groups you’re a member of – that will help you better understand your customer, and that’s the best recipe for designing products other members of the niche will love. If you need a little extra help with finding your niche, check out this article that includes 115 niche market ideas! Another way to come up with a niche for your store, is to look at Google Trends and see what people are interested in and searching for. This way, you can often find trendy niches, then jump on the brandwagon. To find niches in Google Trends, go to the ☰ menu then → Trending searches, and see what people are searching for in your target location. For example, by exploring search topics we found that ”Sauces” are one of the most searched type of foods on Google. There are phone cases with pizza slices, donuts, cupcakes and even ketchup, but are there cases that would help sauce-loving people show their (bizarre) love for teriyaki? Now, once you’ve found your niche idea, jump on to the next step. When you’ve found your target audience, it’s time to create designs for your phone cases. Use Your Photos (Average price range: $0): If you’re good at capturing moments, this is a way to sell your photos. You don’t need to learn graphic design skills or hire someone to create designs for you if you already have beautiful images to print on your phone cases. Just scroll through your phone or camera memory and choose the best ones that fit your niche. Dribbble (Average price range: $80-$200/ hour): Dribbble is like a social media platform for designers where they create online portfolios to showcase their work. All you need to do is spend some time browsing through portfolios on Dribbble until you find a designer whose style you like. Then, reach out and offer to work together – simple as that. 99designs (Average price range: contests start at $299, while hiring a designer for 1-on-1 projects starts at $150 per design): 99designs is like a design crowdsourcing platform; you describe your idea, set your budget and launch a contest. Then, designers submit their ideas and in the end you choose the winning design (or several designs), and the author gets the prize. The good thing about contests is that if you don’t like any of the design ideas submitted, you can always get your money back. You can also hire a designer through 99designs, which is a good option if you have a clear idea of how you’d like your design to look. Many designers, in fact, prefer working on 1-on-1 projects instead of participating in contests. Besides, if you’re aiming for one specific design, this option may also be cheaper. Fiverr (Average price range: $5-$50 per design): Fiver is probably the quickest and cheapest way to get designs – you can have your designs ready in 24 hours paying as low as $5 per design. But you know what they say: You get what you pay for. However, the cheap price tag doesn’t change the fact that there are many talented and skilled designers on Fiverr that you can hire. Find a designer whose style you like, pay attention to his/her reviews, and you may end up with a great design for the cost of a sandwich. Find a Freelancer (Average price range: Varies depending on the platform): Upwork, Freelancer, Guru and PeoplePerHour, these are just a few platforms you can use to find and hire a freelancer for your design works. Submit your project and let designers apply for the job, or browse until you find a designer you’d like to work with. Reach Out to a Designer Whose Work You Like (Average price range: $150-$300 per design): If you have a designer whose work you admire, don’t be shy and reach out. Usually designers are happy to take up freelance work, especially from people who like their work. The best part? The designer might be so happy with the result of your collaboration that he or she would help you spread the word when your phone cases are available for purchase. Tip: When working on your design, keep in mind the product it’s for. For example, make sure you don’t put central design elements or text where the camera hole is. When the design process is over and you’re happy with the result, ask your designer to prepare it as a PNG or PSD file with at least 300 DPI. There are different requirements in different countries. In some countries, you’re not allowed to do any business activities if you don’t have a legally registered company. In the US, on the other hand, you can do business as a sole proprietor. This structure doesn’t require registering as a business and you can use your social security number as your tax ID. The sole proprietorship business structure works well for low-risk businesses. That is, if you’re planning to sell phone cases using a dropshipping service, that’s a relatively low-risk business since it doesn’t require large investments. However, sole proprietorship only works if your business is a one person ownership only. So, if you’re launching your business together with someone else, you’ll need to register your company. For more information on different types of structures and how to register your business in the US, click here. Now that you’ve done your preparation, move on to the next step. After filling out a quick questionnaire by Shopify and adding your address, your shop will be created. 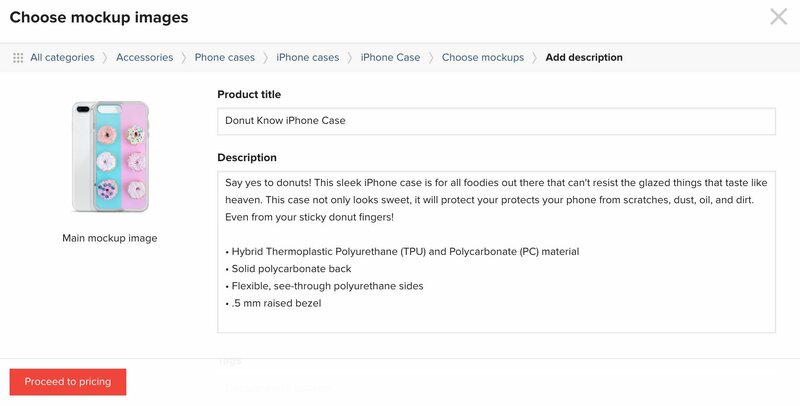 We’ll show you how to customize it later and start with buying a domain and adding products – in this case, phone cases – to sell. You can buy your domain through third-party sellers, such as Namecheap, and if you have already purchased one, you can connect it with Shopify by going to Online Store → Domains → Connect existing domain, and then following the instructions. If you haven’t bought a domain yet, we recommend that you do it directly through Shopify. That way, your shop will also be hosted on their servers, and having everything in the same place will be more convenient to manage. 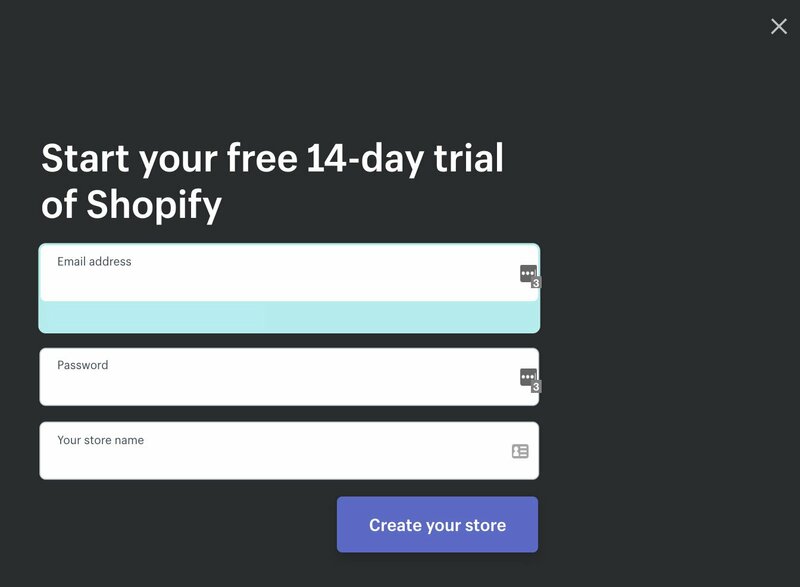 To buy a domain name, click “Buy new domain.” On the next step, type in your chosen domain name, and Shopify will show you if the domain is still available and how much you can buy it for. First, it’s related to the products you’re selling, and in the best case – includes a product-related keyword. Second, it should be easy to pronounce and remember, and it shouldn’t be too long. When you’ve found and bought your domain name, we can move forward and add products to our shop. 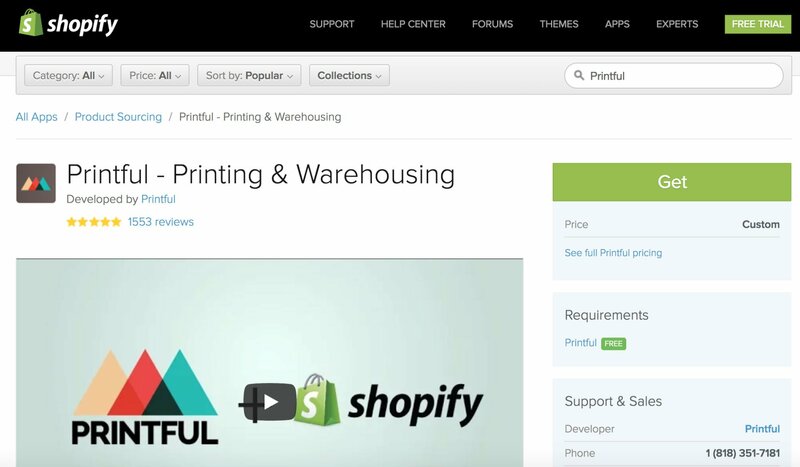 Printful is a print-on-demand dropshipping company that lets you start your own online store without inventory and large investments. After you’ve connected Printful to your online store, every time a customer makes an order on your store, Printful will automatically print, pack and ship the order to your customer – with your branding and everything. To learn more about Printful and the features and services they offer, check out our comprehensive Printful review. 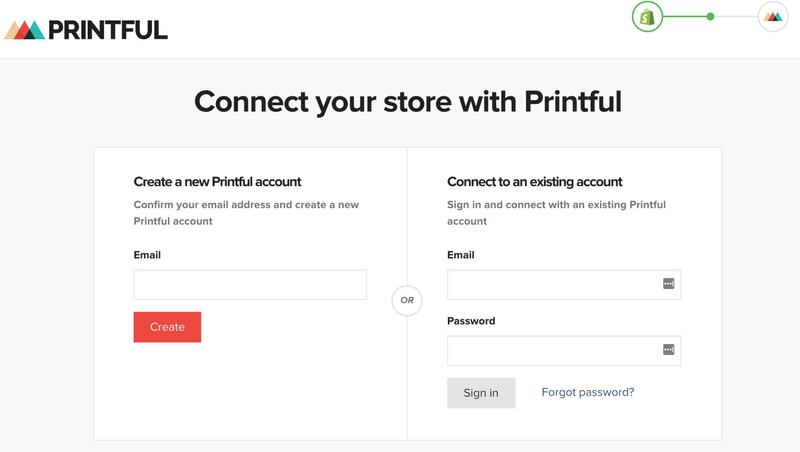 You’ll be automatically sent back to your shop, where you’ll need to approve that you want to connect your shop with Printful. Click “Install app” to agree. And done! You’ve now connected Printful to your Shopify store! When you’ve created your design or uploaded your design file, click “Proceed to mockups” and choose your mockup images. Then, move forward to your product descriptions. Firstly, there are already hundreds of stores using the default product descriptions provided by Printful. That definitely won’t help you with your Google rankings since Google sees copied texts as duplicate content, which may harm your rankings. And secondly, unique and niche-specific product descriptions will speak more to your customers, and that can significantly boost your sales. So, don’t be lazy, and write your own original product descriptions. To learn more about writing great product descriptions, check out our How to Write Better Product Descriptions article and our How to Design the Perfect Product Page for Your Ecommerce Business article. When your product descriptions are done, the final step is to choose the pricing. Printful will offer you their suggested retail price and estimated profit per item sold. That said, you can always increase the retail price if you want to make a bigger profit. But, be reasonable – don’t put a price so high that no one will buy your phone cases because they’re just too expensive. The best way to decide is to take a look at other stores and check their average prices for similar products, then adjust your pricing accordingly. 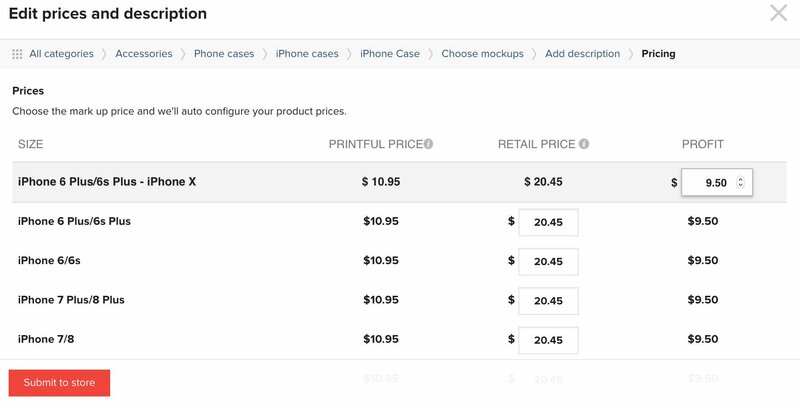 If you need help determining your profit margin and cost of your phone cases, check out our Profit Margin Calculator to determine the selling price of your products based on your desired revenue. When you’re happy with your pricing, click “Submit to store” and you’re done! If you have more designs, repeat the same process until all of your designs are added. After you’ve added all the products and designs you want to sell to your Shopify store, let’s finish and customize your shop’s design before you hit the launch button and make it visible to everyone. Go to your Shopify dashboard → Online store → Themes. You can stick with Shopify’s default shop theme – it’s simple, minimal, and does the work. However, if you want something more sophisticated, there are hundreds of pre-made themes available through Shopify – for free or paid. Click “Customize” and you’ll be taken to its customization page. There, you can create your shop’s look by uploading images, store’s logo, changing colors, adding necessary sections, headlines and other descriptions. Play around until you’re satisfied with the result, and when you’re ready, click “Publish”. Your default theme will be automatically replaced with the custom one. Your shop, by default, will accept PayPal payments. To let your customers pay with their cards as well, it’s necessary to activate Shopify Payments. Do that by going to the Shopify dashboard → Settings → Payment Providers, and clicking “Complete account setup” at Shopify Payments. Then, you’ll be asked to provide information about your business, personal details and information about products you’ll be selling. When taking PayPal payments, be aware that PayPal will take a portion of the payment as commission for facilitating the sale. If you’re interested to know how much that portion will be based on the price of your phone cases, check out our PayPal Fee Calculator to uncover any hidden PayPal fees. Make sure you charge your customers for shipping (unless you have a free shipping policy). To edit your shipping settings, go to your Shopify dashboard → Settings → Shipping, and define your shipping rates depending on each orders’ destination. You can also contact Shopify and ask for live shipping rates ”a la carte”, which will cost you additional $20 per month to add the feature. 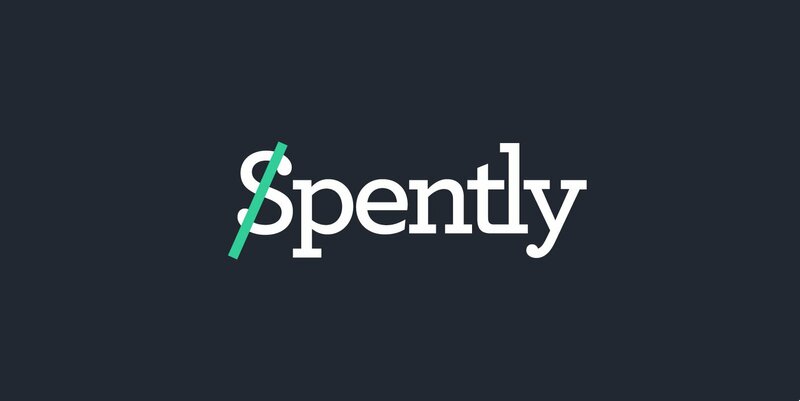 Or, if you opt in for the Shopify Advanced plan ($299/month), you can use Printful’s live shipping rates. In both cases it means that the delivery costs will be calculated in real time, so that neither you or your customers overpay for shipping. To learn more about creating a shipping strategy for your online phone case business, check out the articles in our Shipping & Fulfillment category on our blog. To be able to receive orders and use Shopify after your free trial is over, you must add your billing information. To do that, go to your Shopify dashboard → Settings → Billing, and add your credit card information. There are other settings that you may want to review and change, but these three are the most important ones. When your store looks perfect, your phone case products are added and all settings are in place, it’s time to – drumroll please – LAUNCH YOUR STORE! Congratulations! Your store is now online and ready to accept orders. Here’s the harsh truth: Simply launching a shop is not enough to become a successful entrepreneur. To sell your designs on phone cases, you’ll have to work on your marketing and generating traffic to your store. It’s so obvious that many new entrepreneurs ignore it, but your friends, family and personal connections are your secret recipe to getting your phone case business off the ground. Don’t keep it a secret, make sure to tell people about your idea even before you start selling. Let it settle in their minds, so that when you launch your shop, they know what it’s about and can help you promote it. When your shop is live, announce the big news on your social media accounts, and ask your friends to help you spread the word. Tip: Tag and thank people who helped you create the shop, design products, etc. Then, their friends will see the post as well, your shop will attract more fans and your launch announcement will get even more engagement and reach. Another way to get traffic to your shop is to advertise on Facebook. All you need for that is a Business Page (your store’s fan page) and a Facebook Ad Account (a platform for creating ads) with the Facebook pixel (conversion tracking code) installed in your shop. 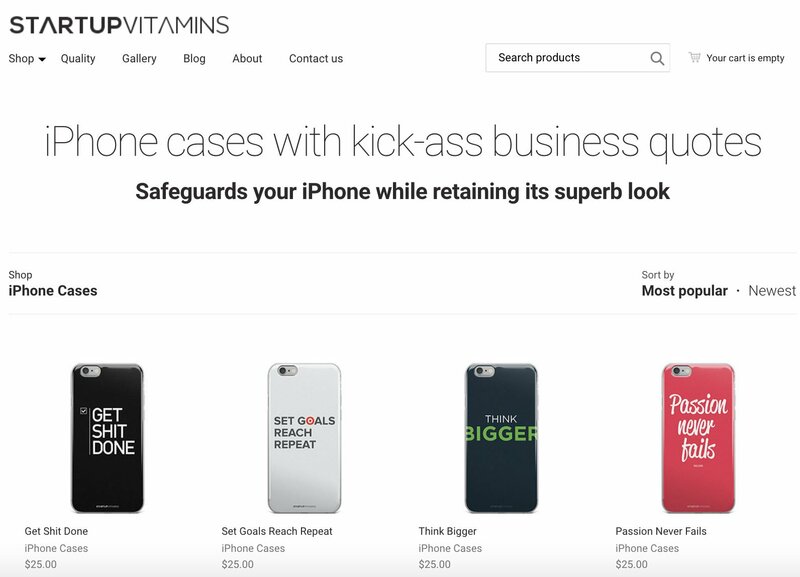 When your Business Page and Ad Account is all set up, you can promote your phone case business on the world’s most popular social media with over 2.2 billion active users. However, keep in mind that Facebook is not the place people go to find something to buy. When no one has heard about your recently launched online store, the first step is to let people know it’s there… and get them to pay their first visit to your store. In other words, you should start with campaigns that will generate clicks to your website. 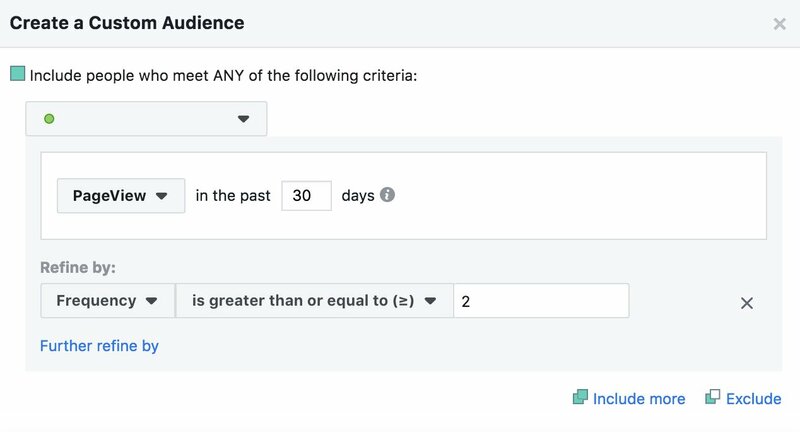 Step 1: Open your Facebook Ad Manager to start creating a campaign. 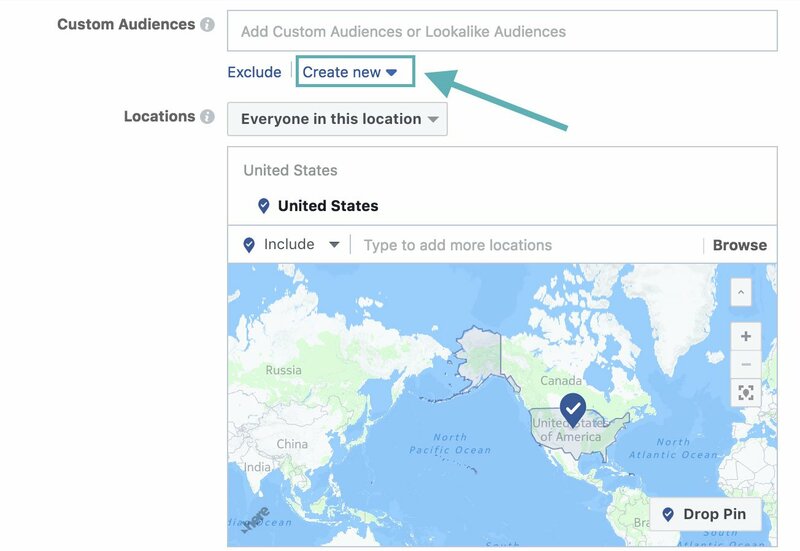 On the first step, choose your campaign objective, “Traffic,” which means that Facebook will show your ad to people who’re most likely to click and visit your shop. Step 2: Define your target audience. 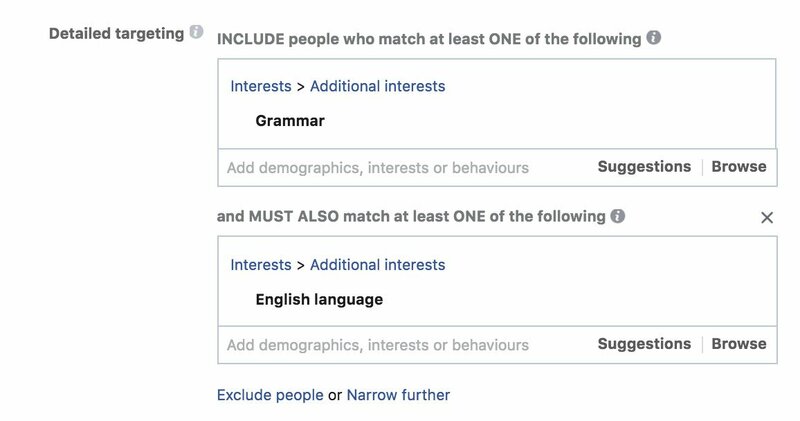 Facebook is famous for its laser-specific targeting options, so make use of it. You can find potential customers based on where they live, their interests, demographics, online behaviors, etc. 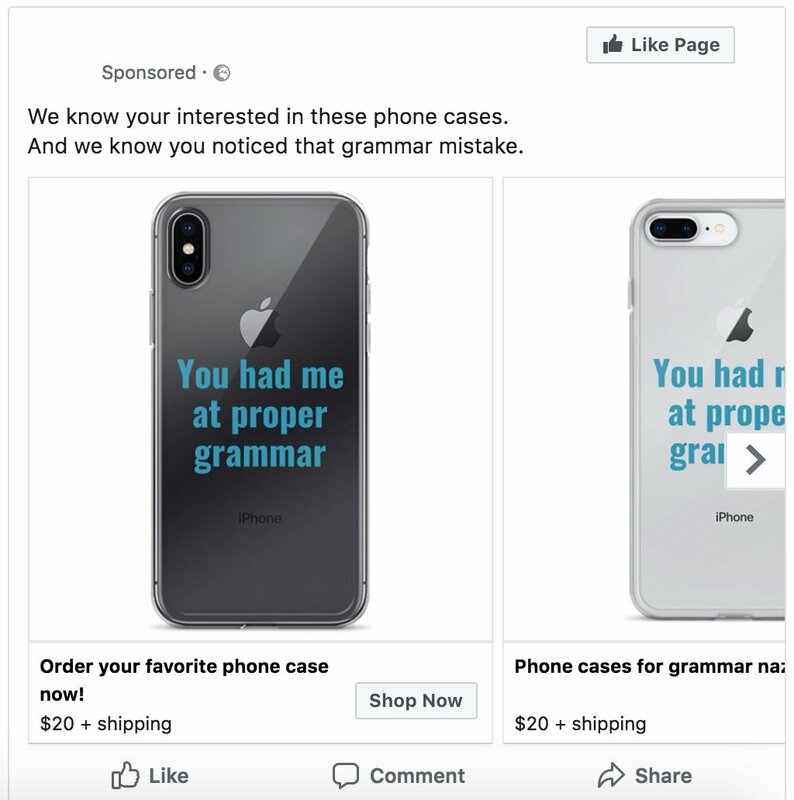 Additionally, since you’re selling phone cases, you may want to show your traffic campaigns on mobile only, which will make them more context-relevant. Think about it: People will see a phone case ad on their phone! Also, if you’re selling phone cases for specific phone types, you may want to target people who own that particular type of phone. For example, if you sell only iPhone cases, it would be smart to target people with iOS devices only. Step 3: Write your ad copy and upload images. Make sure you use visuals that speak to your target audience. You can use product photos or mockups with your best designs, or find free niche and/or product-matching images in photo stocks like Unsplash or Pixabay. For a more comprehensive list of stock photo resources, check out these 200+ Free and Premium Graphic Design Resources. When it comes to copy, the same tip applies: Speak directly to your target audience. 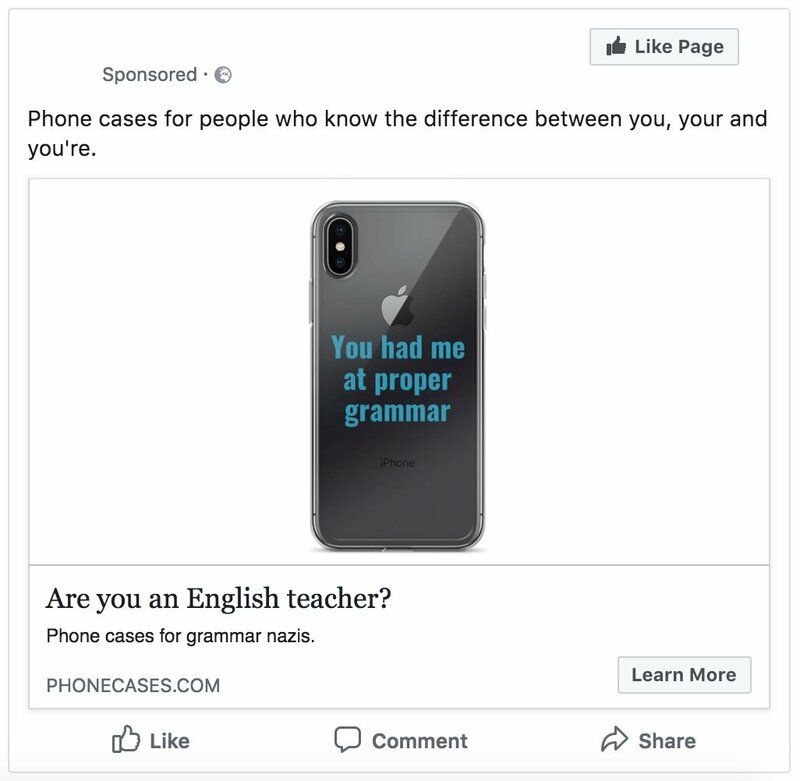 If you’re targeting “English teachers,” you can, for example, start your ad copy with a question: “Are you an English teacher?” You know he or she is, so that’s a great way to catch attention. When your ad is ready, click “Confirm” to launch it. When your first campaign has generated some traffic to your shop, it’s important that you don’t lose connection with people who have shown interest in your products. So, the next step is to stay in their sight until they’re ready to convert. Step 1: Create your product catalog on Facebook by connecting your Shopify store with Facebook. Here’s a step-by-step guide how to do it. 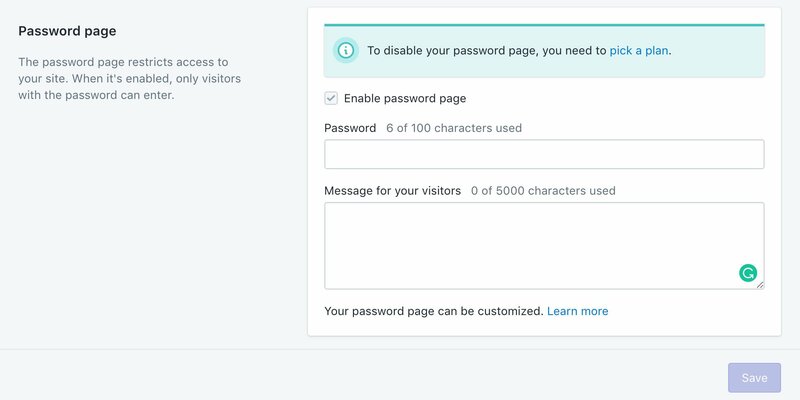 Step 3: Choose to target users who’ve visited your shop or added some products to their basket within the last 30 days but didn’t make a purchase. Step 4: Create your ad. Remember that people you’ll be showing this campaign to already know your shop, so the goal of these ads are to keep your store in their sight and remind them of the products they viewed. 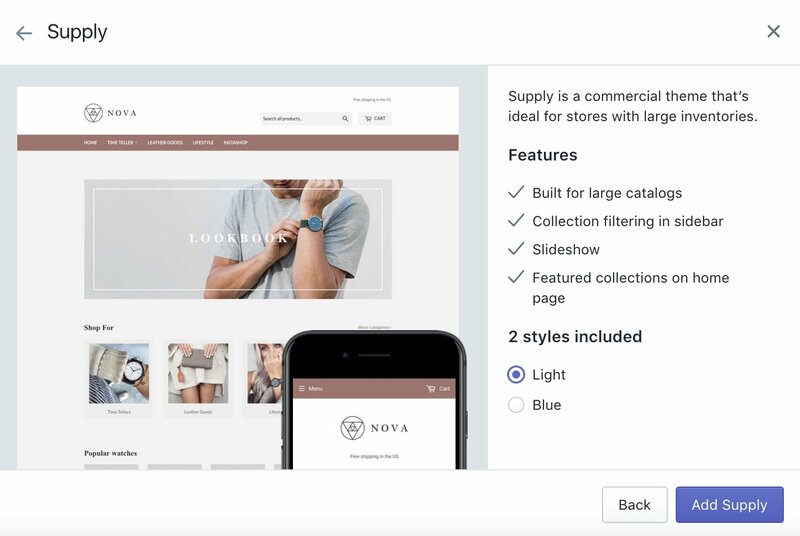 Since you connected your product catalog to Facebook, it’ll automatically use product images from your shop. 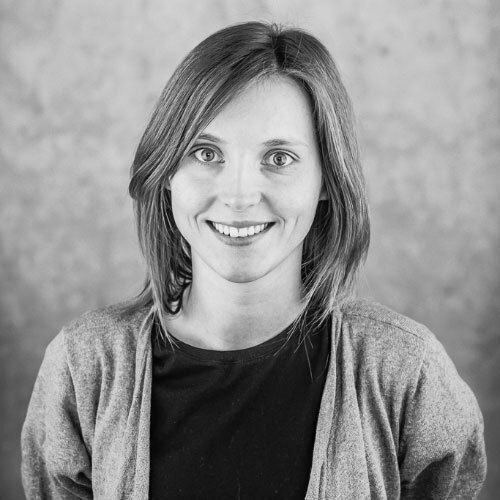 Regarding your copy – keep it simple and don’t be too salesy. Your goal is to remind people of your products without being too intrusive. The last step is to convert those people who have visited your store several times within a certain period of time, but haven’t bought anything from you. This is where you can finally get to selling because you can be quite sure these people are interested in your products. Step 3: Create your ad. Your ad images will, again, be automatically taken from your product catalog, since this is a “Catalogue Sales” ad. In the copy, encourage people to come back to your shop and get the product they were interested in. Studies show that 88% of people trust online recommendations as much as personal ones. As a result, influencer marketing content delivers 11x higher ROI (return on investment) than traditional forms of digital marketing. That explains why influencer marketing has become one of the online marketing trends of 2018. While influencers with millions of followers may not be within your reach, there are thousands of micro-influencers (influencers with less than 10k followers) who’re happy to collaborate with small brands. If you know your niche inside out, think of people you already follow, or even know personally, who have authority within the audience you’re targeting. Use hashtag searches on Instagram. Simply type in the search bar: “# + your niche keyword.” Go through the top posts and check people behind them and how many followers they have. Conduct a Google search for bloggers, podcasters and/or columnists who cover topics related to your niche (for example, just type into Google: “blog” + your niche keyword). Use Twitter’s advanced search to find users who tweet about your niche and related topics. Check people behind the tweets and their total number of followers. The amount of followers can be a misleading statistic to make you believe that an individual has influence over a large amount of people. In reality, getting a large amount of followers can be as simple as paying for a service. The problem – these followers are fake. Engagement rate is calculated by dividing the total amount of followers by the amount of likes on a piece of content. Though post likes is one factor that can indicate legitimacy, unfortunately those can be purchased as well. Even comments can be purchased. How do you protect yourself against purchased engagement? Rate the quality. Because that’s one thing bots can’t do (yet). Open up one of the influencer’s posts and scroll down to the comments section; take a look at the comments. Are they generic, irrelevant and short? For example: “Great!” “Awesome!” “Keep it up!” or even just a string of emojis? Or, are they long, thoughtful, relevant? For example, the commenter replies to other users’ comments in long-form and mentions the topic of the post itself. Check to make sure that the comments are relevant to the post and that they aren’t just posting nonsense generic comments, which is a typical bot-move. Open up the influencer’s followers list, and open several of the followers’ profiles at random. Do their captions make logical sense? When profiles are made up of stock photos with no or very little content and engagement and garbled captions, it’s very possible that they’re “bot” accounts, fake profiles and are paid followers. What is a promo account? A promo account is one that almost exclusively uses the platform to promote sponsored or affiliate products. They usually cover a wide range of different products and provide very little value to the followers. It’s generally believed that these promo accounts that look to have huge followings, are usually made up of purchased followers. Even if the followers are real, if the account promotes products constantly, then the value of the suggestion from the influencer decreases. Your post gets lost in the sea of other promoted content. So how do you avoid promo accounts? Send the influencer a free product he or she can review and share with his or her followers. Many influencers are happy to collaborate on these terms, especially if they really like the product. You can also give influencers various products that they can use for a giveaway for their followers. For them, making sure that their audience is engaged and growing is as important as it is for you to get your product exposed, and a giveaway is a great way to keep followers engaged. It’s cheap: It’ll only cost you one or a few products. It’s easy to arrange: All you need to do is ship the product to the influencer. Not regular: The influencer will review your product once, or promote it while his/her giveaway is active, after which he/she might stop doing it. It may be difficult to track results from such collaborations. You can let influencers earn from every product they sell. The idea is that the influencer promotes your product using a unique link. Whenever someone clicks on that link and makes a purchase, the influencer receives a commission – usually a percentage of the total order value. It’s motivating for influencers to regularly promote your products, since they earn from every purchase. For influencers with a large follower base, affiliate marketing may be the only form of collaboration they’re interested in. The results from the collaboration will be easy to track. You’ll have to share a portion of your revenue. The influencer will need an affiliate account, too. So, if they don’t have an affiliate account and they don’t want the hassle, they may drop off because of this reason. To learn more about How to Start an Affiliate Program for Your Ecommerce Store, check out our comprehensive article. If you’ve read this far, you’re ready to start your own phone case business! You know everything you need to know about what it takes to get your own phone case business up and running, so now it’s up to you. Good luck, and we can’t wait to see what you’ve created!